Six pianists. Sometimes soloists, often accompanists, always performers. 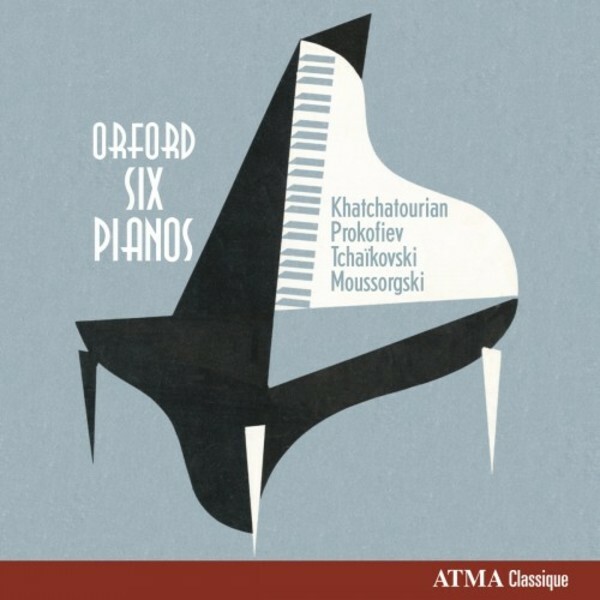 This second recording by the Orford Six Pianos ensemble marks the 10th anniversary of a group whose name evokes the French 20th-century composers known as �Les Six�. �Anything rhythmic works well with this lineup � Russian music and symphonic pieces are perfect for pianos,� says ensemble member Mariane Patenaude. For this album, Olivier Godin, Francis Perron, and Louis Dominique Roy have transcribed works by Prokofiev, Tchaikovsky, and Khachaturian, adapting them for piano sextet.